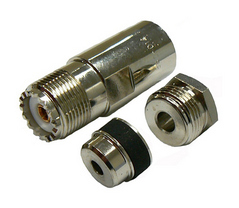 Nickle plated brass with a life of 500 + mating cyles.For use in all CB radio's marine Radios and various Transmitters. 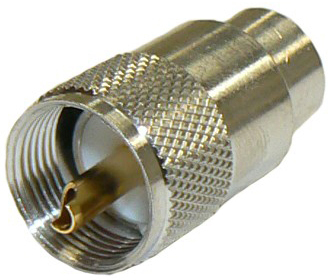 From Dc to 300 MHz. 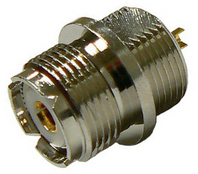 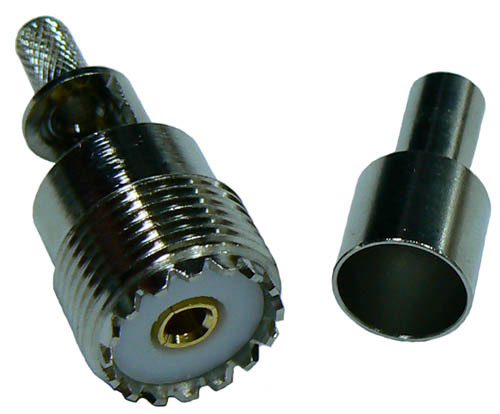 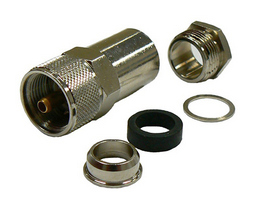 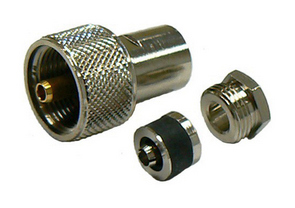 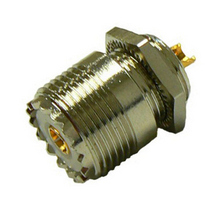 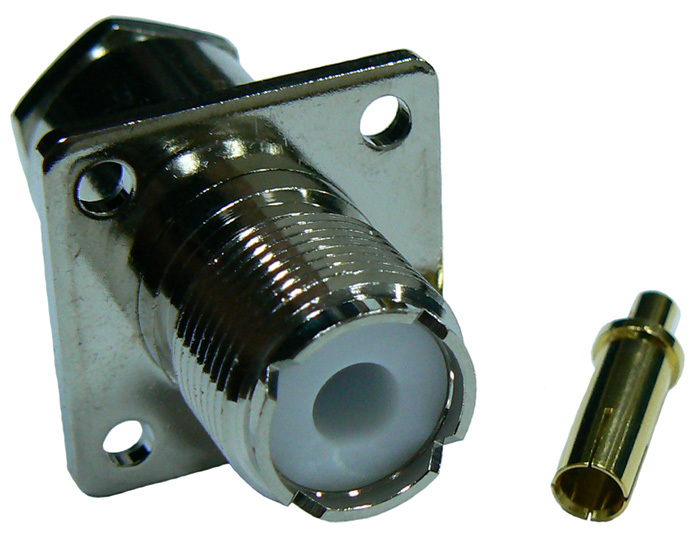 We recommend N type male connectors for higher frequencies. 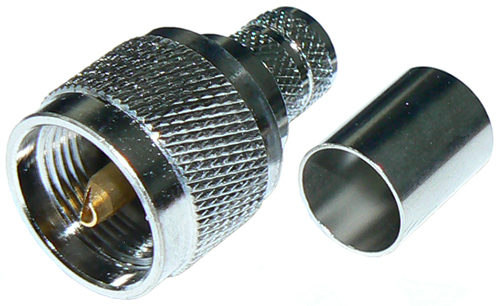 Black Chrome PL259 for RG58 Clamp style. 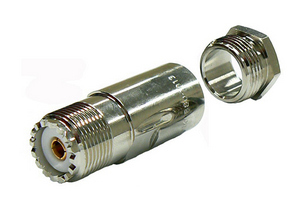 UHF Female Bulk head with nut, mating cycles: 500, plating Ni, Temp range: -40 to +85 c.